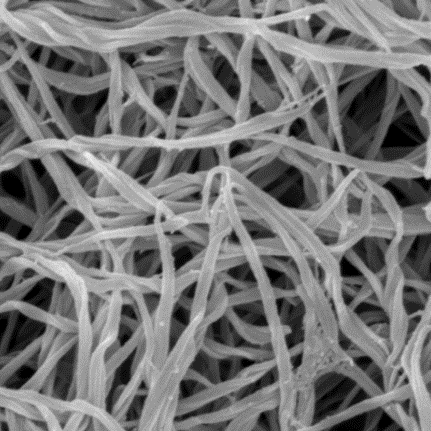 The extracellular matrix is a fibrillar meshwork comprised mainly of collagen that shapes and reinforces tissues and provides a scaffold for cell adhesion. The matrix exhibits remarkable strain-stiffening properties that tailor the mechanical functions of tissues. Moreover, physical properties of the matrix such as its stiffness, viscoelasticity, and architecture provide cells with cues that direct important cell functions such as differentiation and motility. The mechanobiological interplay between cells and the surrounding extracellular matrix is essential to guide physiological processes such as tissue morphogenesis and wound healing. Abnormalities in matrix mechanics can promote pathological situations such as cancer metastasis and fibrosis. We use synthetic tissues reconstituted from cells and selected matrix constituents to understand the physical basis of cellular mechanobiology. 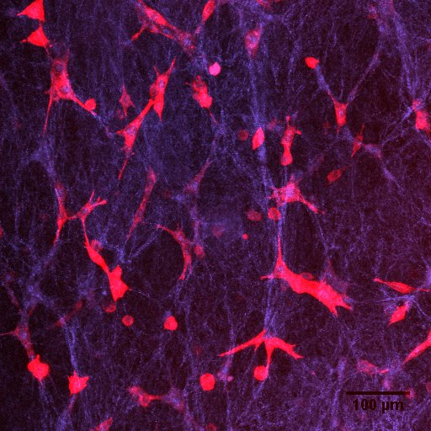 We investigate the mechanisms underlying cellular mechanobiology by studying cells grown in a reconstituted extracellular matrix that mimic the native tissue environment. Using a combination of (micro)rheology and microscopy, we learn more about the mechanical interplay between cells and their surrounding tissue. 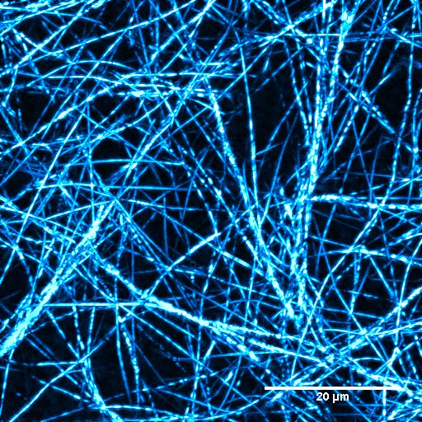 We aim to unravel the origin of the remarkable mechanical properties of the extracellular matrix in relation to its hierarchical structure. 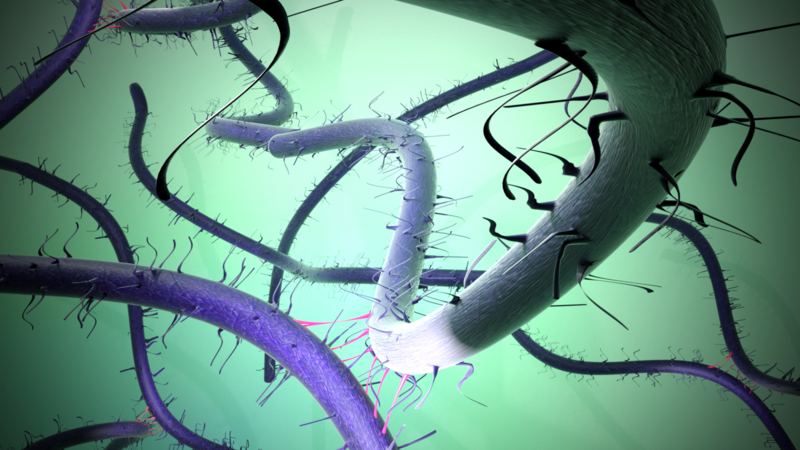 To this end, we use purified extracellular proteins such as fibrin and collagen as building blocks for reconstituting extracellular networks. We develop techniques that combine imaging with force measurements at different length scales to elucidate the role of each level of structure (from molecular to network scale) in the mechanics of the entire network.